Sipadan Scuba is the first established PADI 5 Star Instructor Development Center in Semporna, Sabah, Malaysia and the first National Geographic Dive Center in Borneo. Since 2008 we have won 5 PADI awards that include the "PADI Top Achievement Award" and on an individual basis the "PADI Go Pro Challenge 2008". 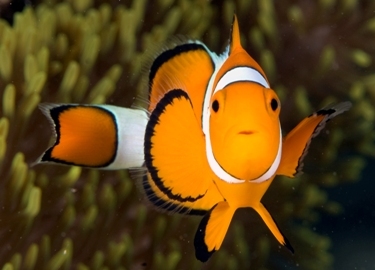 Daily trips to Sipadan Island: Join our daily dive & snorkeling trips to Sipadan Island and more than 20 islands within the Semporna marine park such as Mabul, Kapalai, Mataking, etc. Whether you want to dive with sharks & turtles, or look for some of the most unusal macro dives, at Sipadan Scuba we've got the local knowledge and can find it for you. Caution: to be guaranteed to dive there Book Sipadan well in advance! PADI Diving Courses: The islands off Semporna offer perfect, year-round diving conditions in crystal clear water teeming with marine life. Our team of international, multilingual instructors can conduct the full range of PADI courses from Open Water Diver to Master Scuba Diver and more than 20 specialty diver courses. PADI GO PRO Instructor Development Programmes: “Hmmm, tough question: Telemarketing, or teaching diving?" Sometimes life may seem a little dull. Perhaps it is time to consider a career change? Why not do something you love and have the entire ocean as your office? 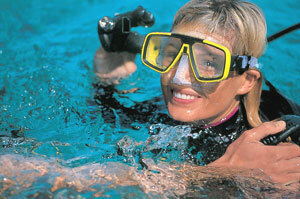 - become a diving professional! At Sipadan Scuba we will guide your way to a new lifestyle and adventure. Our next PADI IDC starts on Nov.9, 2011! 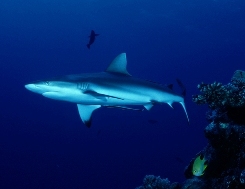 The next PADI Instructor Exam IE is on Nov.22-23, 2011! Accommodation: Stay overnight at the Holiday Dive Inn located right opposite the dive centre and only a few meters away from the shoreline. 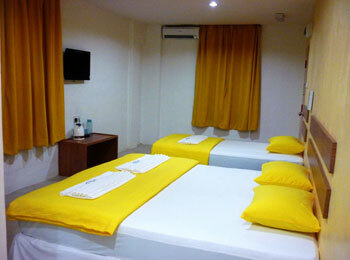 The hotel offers 24 comfortable twin-share rooms with modern furnishing and dormitory rooms at reasonable prices. Don't wait too long, chose and book your room online now at the Holiday Dive Inn.